The Real Deal Offers Great Discounts on All Panama Tours. Featured deals are hand-picked by our Activities Specialists as the Best Value in Panama City, Panama & the Panama Canal. From the concrete jungle to the actual jungle, one of the eco-friendliest ways to discover all that Panama City has to offer is with our incredible Panama Bike Tours! Wildlife safaris by boat, island hopping the San Blas archipelago, kayaking on Lake Gatun; whatever floats your boat, we have a boat tour in Panama perfect for you and the best deals in town too! Explore Panama's wildlife on one of our top-notch Nature Tours and discover the country's natural beauty and biodiversity by signing up for one of our exciting eco-adventures. Discover the fascinating history behind the construction of the Panama Canal and witness its impressive operation first-hand by booking one of our many Panama Canal shore excursions! Whether sailing the archipelago, taking a fast ferry to Taboga, whale watching around Contadora Island or snorkeling the rocky outcrops, visiting the Pearl Islands & Taboga Island in the Gulf of Panama are not to be missed. Take the plunge and explore Panama's Pacific coast and extensive coral reefs on a snorkeling tour in Central Panama and Panama City. Book your shore excursions in Panama Central and Panama Canal with us! Worry-free booking and top-notch excursions at discount prices guarantee BIG savings and LOTS of fun! Explore Panama City and the Panama Canal. Experience this country's amazing culture first-hand on one of our Cultural Tours and understand what makes Panama so unique. Panama whale watching tours to Isla Bolaños and Contadora Island departing right from Panama City! Discover the beautiful Humpback Whales in the Pearl Islands! Looking for amazing activities & fun things to do in Panama on vacation? You have come to the right place! The Real Deal Tours offers the best tours in Panama! There are several things to explore in and around Panama City. Better yet, they are all just a hop, skip, and a jump away from the city center and the cruise ship ports in Panama City and Colon. There are tons of one day excursions departing daily and we have compiled a list of the best excursions in Panama for you to choose from. So get out your Panama bucket list and start checking off all the cool experiences you can have on your Panama vacation! Obviously the Panama Canal and the Miraflores Locks might be the most popular attraction in this region. Hey, rightfully so. The Panama Canal is only one of the world's most astonishing engineering marvels after all. And now with the Panama Canal Expansion & Agua Clara Visitor Center, there is even more points of interest on the Panama Canal to explore. Our variety of Panama Canal Tours will ensure you do not leave Panama without really truly appreciating the history behind the Panama Canal from past to present. Aside from the Panama Canal, the variety of sightseeing tours in Panama City are incredible. If it is your fist time visiting Panama, the Panama City & Panama Canal tour is your best bet. You can explore some of Panama's most famous attractions all in one day! Aside from the skyscraper lined city center, Panama is also chock full of historical sites. You can visit for forts occupied by both the Spanish and the United States. True history buffs will want to check out the original ruins site of Panama La Vieja, then make their way to Panama's current historical district of Casco Viejo. And museums! Panama is full of great museums! For those who prefer active tours, our Panama City bike tours are a great way to explore Panama City & the Amador Causeway. Perhaps courtesy of the importance of the Panama Canal watershed, Panama City is surrounded by an abundance of nature. Both inside and just of the city you can discover the beauty and nature of the Metropolitano, Soberania, and Chagres national parks which are home to some of the 900 species of birds and 300 mammals that rest in its protected 1st and 2nd generation tropical rainforests. In fact, our top selling Panama nature tours are a visit to Monkey Island, and Jungle Land Panama which both are located in along the Panama Canal. Birders will love the fact that their is ample bird watching opportunities right on the edge of the city at Metropolitan National Park. And if you want to get out of town, a visit to the Valle de Anton is a lush garden green oasis that is the top weekend destination for locals. Ready to head out on the water? We have both public and private boat tours that can take you places such as the Pearl Islands, Taboga Island and even through the Panama Canal! When is the best time for a boat tour in Panama? Whale watching season! Whale watching in Panama is phenomenal!! You will also need a boat to visit 2 of Panama's unique indigenous cultures of the Embera Wounaan & Guna Yala in San Blas. Coming in on a cruise ship? Most all of our Panama City tours can be customized to fit your cruise schedule. Our Panama shore excursions depart from both Colon & Panama City. 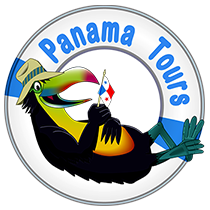 Even better, we offer customized private shore excursions in Panama. Do what you want, when you want with an expert local guide just for you! Needless to say, there are a wealth of activities and things to do in Panama. Can't decide which Panama tours to add to your bucket list? Get in the most Panama tours possible in just 10 days. Our cross country trip lets you experience all best highlights of Panama both in Panama City and throughout the country. So what are you still reading this for? Choose your favorite category and start exploring all the amazing activities in Panama departing from Panama City & Panama cruise ship ports. Your adventure in Panama is just a click away! !